Hadieh Shafie's work is inspired by the Sufi mystic movements in Islam. Sufis use the language of love to describe humanity's relationship with God, and they forget everyday concerns by perfecting repetitive practices. Shafie prints or writes Sufi texts in Persian on paper strips, rolls them tightly and slides them within a frame. Most of the mystic text is concealed within the roll of paper, just as the mystic knowledge of Sufis is felt to be hidden within them as they perform ritual whirling dances. The title of 22500 Pages tells us how many strips of paper this work contains. In Shafie's work this notion of meditative process, repetition and time is a constant theme. The time spent in writing and rolling the strips of paper is an important, performative part of the artistic process. Shafie seeks to create pieces which are rich in layers of meaning and which prompts the viewer towards contemplation and reflection. Shafie created this work especially for the Jameel Prize 2011, a biennial award for contemporary art, craft and design inspired by Islamic tradition held in the V&A. 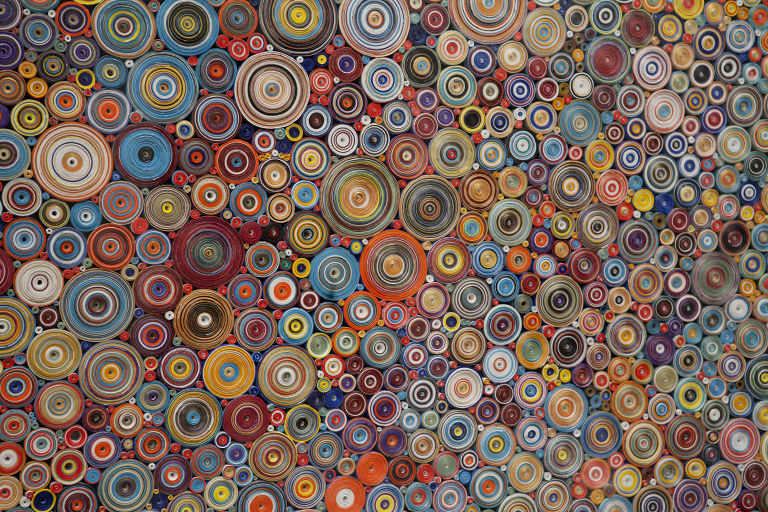 Composition comprising 22,500 wound paper scrolls, printed and hand written with Farsi text, mounted on a circular base board. 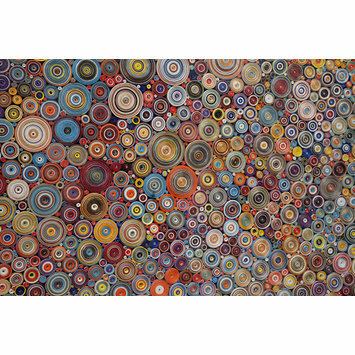 Composition, '22,500', comprising 22,500 wound paper scrolls, printed and hand written with Farsi text, mounted on a circular base board, by Hadieh Shafie, USA, 2011. Shafie’s work is inspired by the Sufi mystic movements in Islam. practices in the Islamic world. strips of paper each work contains. Created especially for the Jameel Prize 2011 exhibition at the V&A, 21 July- 25 September 2011.